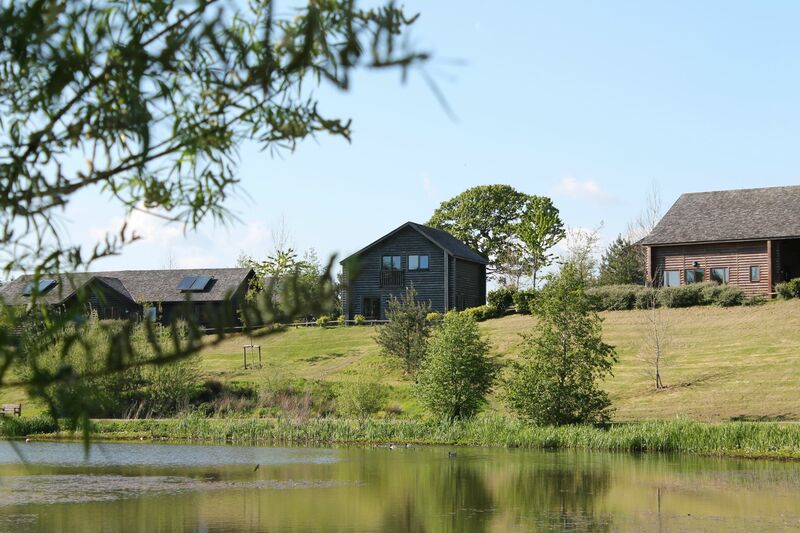 Last week we spent five lovely days at Bluestone in Wales. If you’re not familiar with them then think mountains, peacefulness, family friendly and lovely lodges and you’ll be half way there! I’ll freely admit that I was a little sceptical about what to expect from our ‘free range’ holiday at Bluestone. I’d read a few other blog reviews and thought perhaps people were seeing their holidays through rose tinted glasses as it was a review but now I’m home and starting to write this I really do think it’s an amazing place. I few people I got chatting to when I was there were on their second or third trips too, so it’s definitely a popular place! Upon arrival you check in via a drive through kiosk, which took a matter of minutes as I had pre registered on the website with our names/car reg etc. We were given keycards and a welcome pack detailing where our lodge was on the map. You can drive to your lodge to unpack from 4.30pm on the day of arrival and need to have put your car back in the car park by midnight as the resort is a car free place the rest of the time, which was lucky as we didn’t have to panic every time Athena ran into the roads! 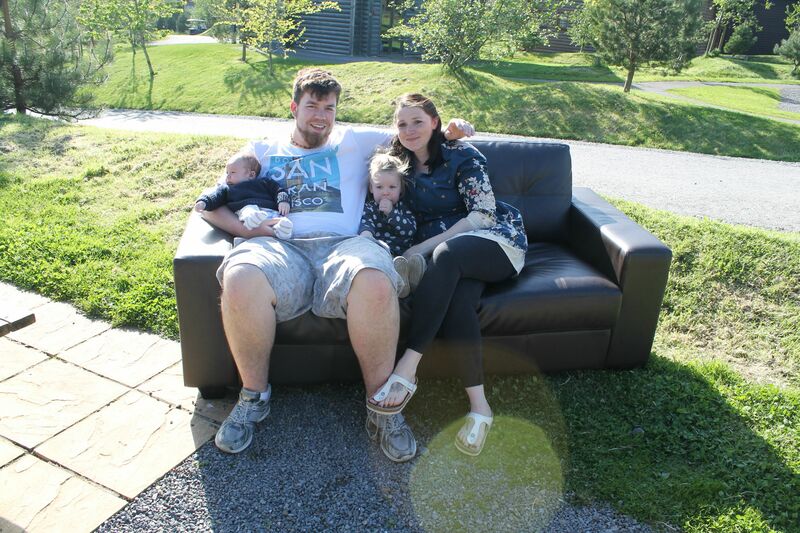 We were allocated a Dinas Lodge, which was perfect for our needs as we had invited out friends and their daughter too. 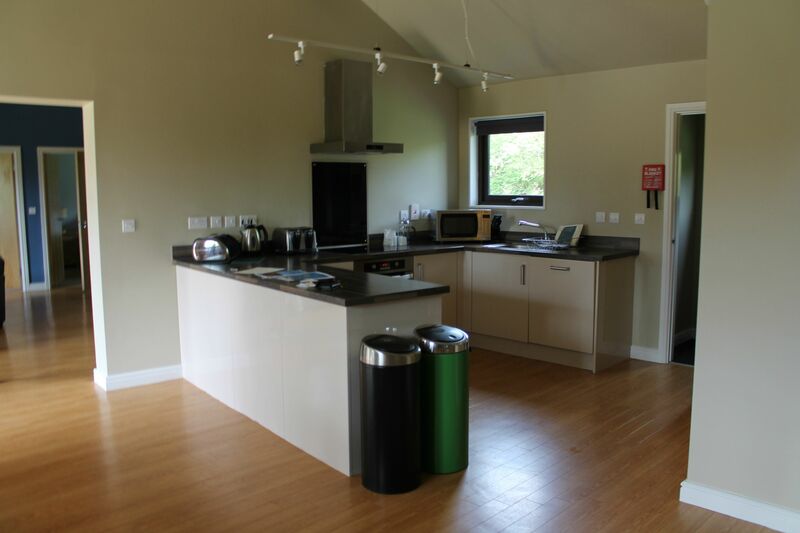 The lodge is all on one level, with an open plan living room, kitchen and dining room. 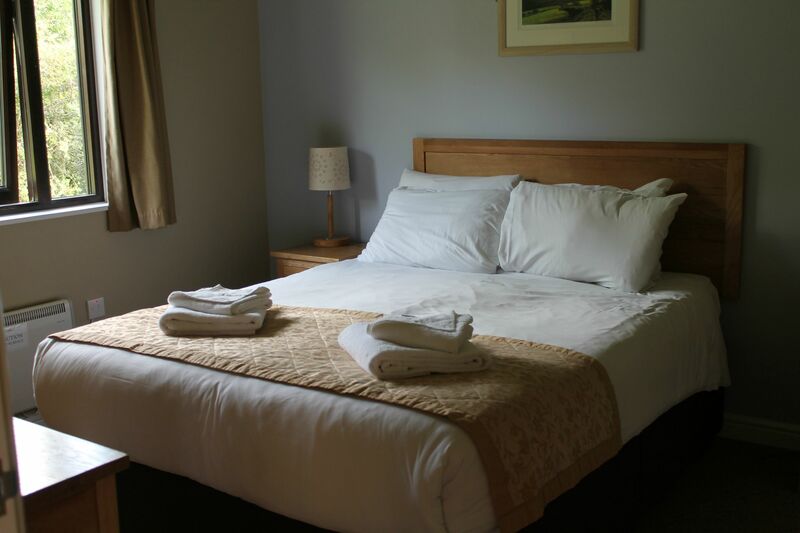 At either side of the lodge is a double room and a twin room. There is also a bathroom at either end, one with a shower and one with a bath with a shower over it. Two sets of double doors open to the front of the lodge with two picnic tables and a patio area as well as a grassy area. Although the lodges are spaced fairly close together we couldn’t hear anything from our neighbours at all! 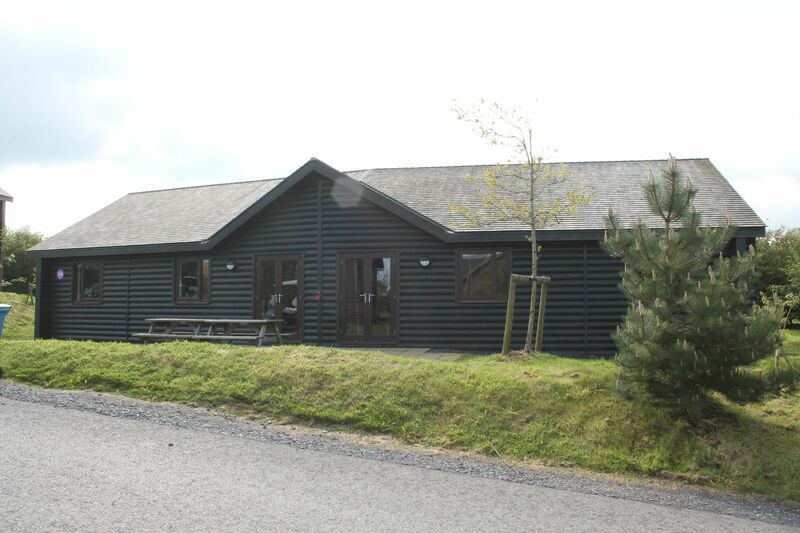 The lodge had laminate flooring throughout, with three sofas and two coffee tables in the living room area, with a flat screen TV, DVD player and wifi. The TV had freeview channels and the wifi was strong enough for us to hook up a Chromecast and stream YouTube videos to the telly. The sofas are comfy (and wipe clean, thankfully!) although a few cushions wouldn’t go amiss! Because the lodge has a great high ceiling it feels spacious but it means the lights are on the walls so it can be a bit dull in the evenings/when it’s overcast outside as the lights aren’t so bright. The Kitchen was well stocked with utensils (though the knives weren’t so sharp any longer) and had two under counter fridges and a dishwasher (although this was a little rickety and probably nearing the end of it’s useful life!) and a cooker, microwave and toaster as well as a kettle of course! The crockery and glassware is kept in a sideboard in the dining area which was fine for us but for families with smaller/crawling kids not a brilliant idea and I did wonder why they didn’t have any cupboards higher on the walls in the kitchen area. The bedrooms were decent sized with more storage than you would need for a weeks stay, with bedside tables, a set of drawers and a wardrobe with more drawers in each room. The beds were comfy and had good quality linen on them, with two pillows per bed. Athena slept on one of the twin beds in her room and we brought her bed guard with us from home, which was good as they’re fairly high up. We used the other bed in her room as a make shift changing table! Each bedroom has blackout curtains and a heater, which we didn’t need to turn on. The bathrooms were the only thing that I think wasn’t up to the standard of the rest of the lodge, with some discolouration starting to show on the grouting, and a plain glass shower screen on the bath that swung out and could have been dangerous if a little one ran into the bathroom not realising it was out. There was also only one small shelf in the bathroom for your bits and bobs, but the lighting was good which is always a plus for make up application! 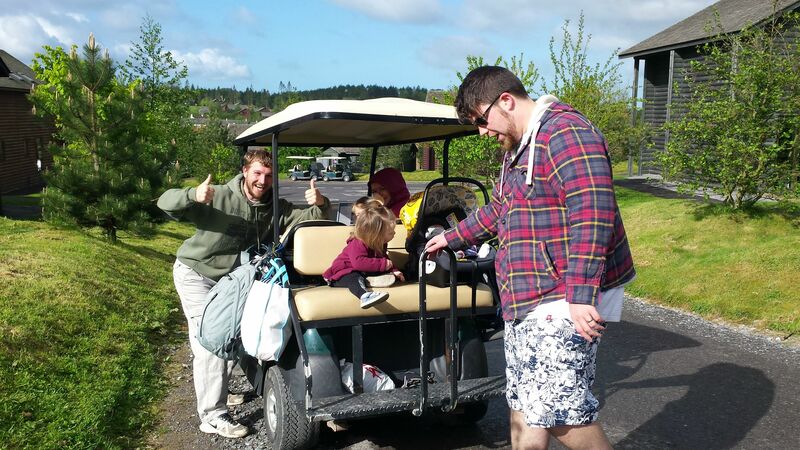 We hired a Golf Buggy when we arrived, and it was the last one so I would advise you pre book, as we almost missed out! We were within easy walking distance of the Village Centre but it would’ve taken us a while to walk to the Adventure Centre or Blue Lagoon especially with a toddler! It’s also fairly hilly so the buggy definitely meant less weary legs! It cost £80 for our stay but at £40 a family it’s definitely worth doing as it meant we could pack more into the days, and was great for the one rainy day we had! You can also hire bikes and trailers, but that seemed far too much like hard work! There is so much outside space to explore, nature trails around the outside of the park, the lake, the village with it’s treetop playground and plenty more that we didn’t even get to! There will be a post coming soon about the activities we booked and the Blue Lagoon! Everyone who works on site is friendly and helpful, even the dudes cutting the grass smiled and waved as they went about their business! We spotted a few people working at different locations throughout the week, so knowledge and skill are fairly high on the training agenda! On the last day we were wished a safe journey and asked what we’d enjoyed most about our stay in a genuine manner, rather than an ‘I’ve been trained to ask but I don’t really care’ sort of way! Oh! and the calibre of guests is clearly a high one too as I dropped my phone in the Blue Lagoon changing rooms and as soon as I realised ten minutes later someone had already handed it in to reception! The next day my friend found someone’s phone in the adventure centre and made sure she got that back too, yay Karma! Price wise a holiday here will set you back around half the price of that well known holiday park with a few UK locations, and they don’t have Golf Buggies to add to the fun! 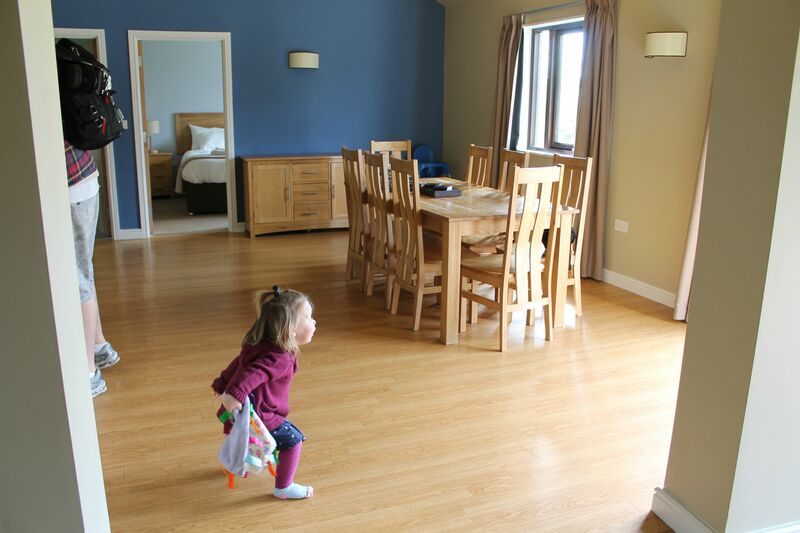 Our Mon-Fri stay in the Dinas Lodge in May would have cost us around £429, and split between two families means it’s a very decent price for a holiday, much cheaper than a hotel and much more comfortable and spacious! 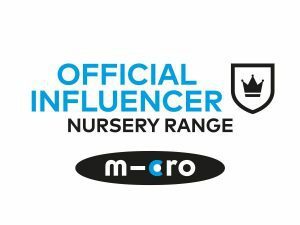 We will definitely be back, when Arlo is a bit older and can enjoy the soft play and pool a bit more, and we’ll be staying for a week so we can really make the most of it, and explore some of the surrounding areas too! 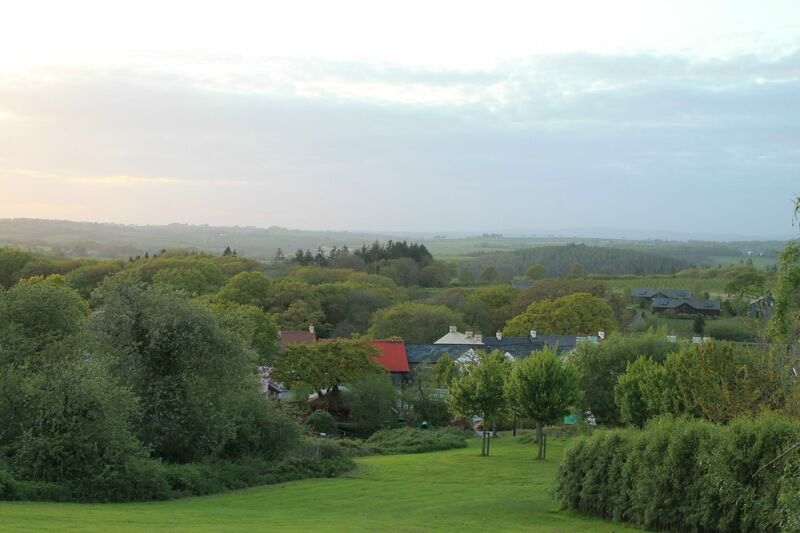 Bluestone offered us accommodation for a 4 night stay in exchange for an unbiased review. It sounds like you had a really nice time. That part of Wales is lovely – put Tenby on your list for next time as it’s a really nice seaside resort. This looks lush! I am seriously considering doing a holiday here after reading this! I am so incredibly jealous right now! I want to go to Bluestone.